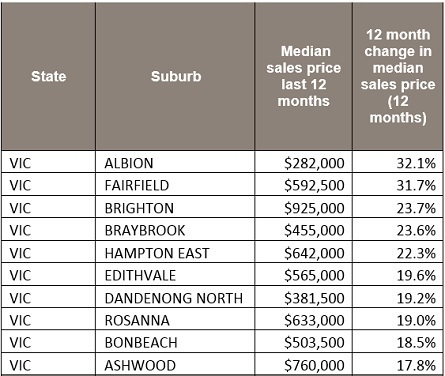 In his column in Switzer, John McGrath discusses the top 10 suburbs for price growth. 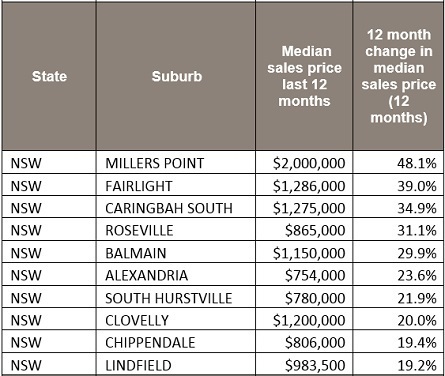 At the end of 2015, it looked like the Sydney property market was finally slowing down. 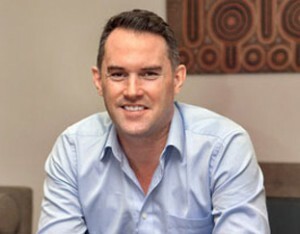 Clearance rates had slipped back into the 50% range and investor activity had declined due to tighter lending criteria. After three-and-a-half years of spectacular price growth, it looked like we were in for cooler market conditions in 2016. But it simply didn’t eventuate. 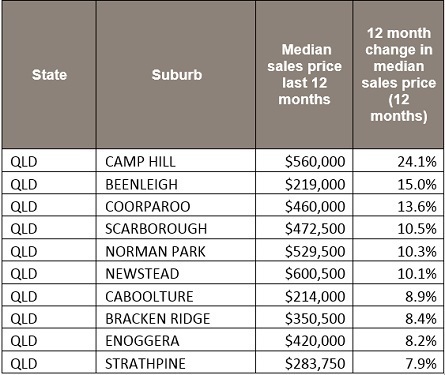 A severe lack of homes for sale has characterised the Sydney market all year and when supply and demand is this tight, above average price growth is inevitable due to intensified competition. 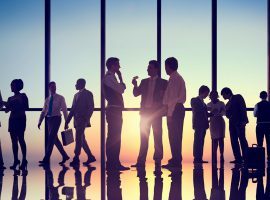 Let’s take a look at the latest numbers from CoreLogic, released on December 1. 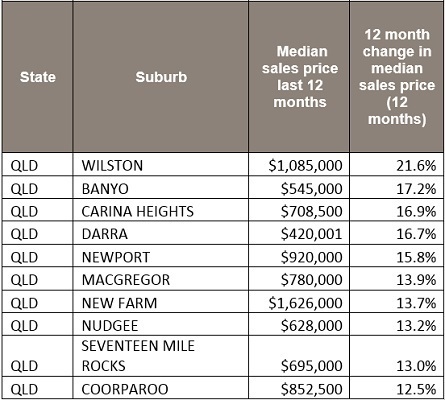 Over the calendar year 2016, Sydney house prices are up 15.3% and apartment prices are up 10.6%. Maybe things will change in 2017, but we’d need to see a significant boost to stock levels before prices really begin to settle. For now, they’re still rising and pretty strongly, too. 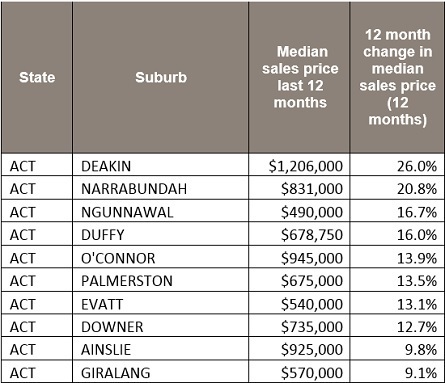 Looking at the rest of the country, house prices over 2016 are up 11.4% in Melbourne, 9.9% in Canberra, 7.9% in Hobart, 6.6% in Adelaide, 4.1% in Brisbane/Gold Coast and 0.1% in Darwin. 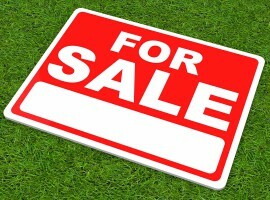 House prices declined in Perth by -5.9%. 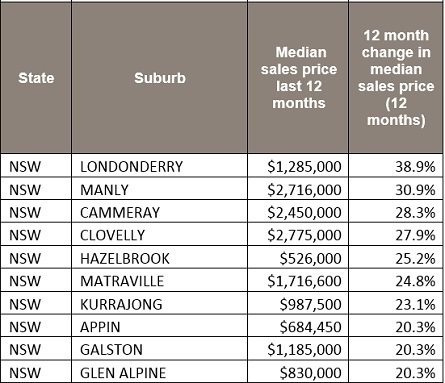 Apartment price growth was pretty subdued everywhere except Sydney, mainly due to the growing oversupply in East Coast markets. Prices are up 5.5% in Hobart, 5.2% in Canberra, 5% in Darwin, 3.2% in Adelaide, 0.9% in Brisbane/Gold Coast and 0.6% in Melbourne. 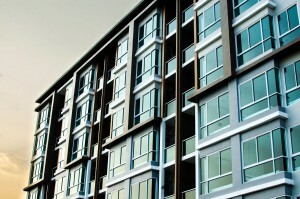 Apartment prices declined in Perth by -2.2%. 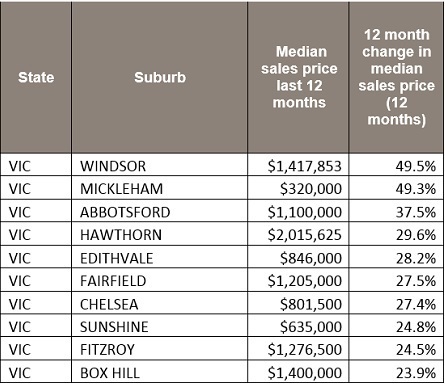 In our latest McGrath Report, we looked at what was pushing price growth in the best performing East Coast capital city suburbs. The key factors were lifestyle options, strong or improving infrastructure, good schools, local jobs or proximity to employment hubs, public transport and a vibrant ‘village’ atmosphere. 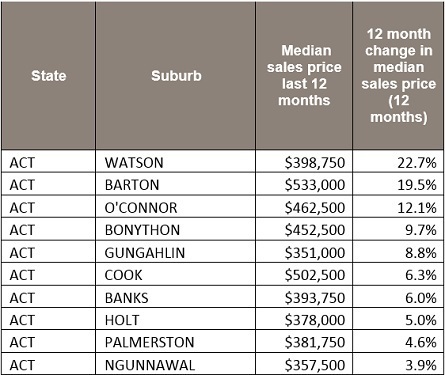 Newly released figures compiled by CoreLogic reveal the suburbs with the greatest house and apartment price growth over the 12 months to September 30, 2016. 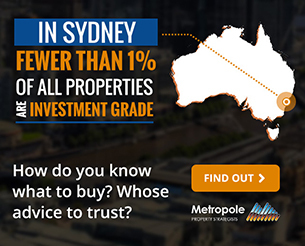 Also in our McGrath Report, we discussed the key signs for identifying the next hot spots for growth. 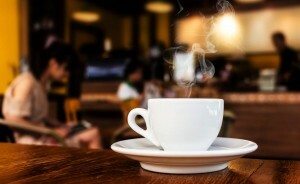 Here are my tips to help you when looking for your next investment location.